Credit repair is the process of fine tuning your credit reports so that it looks good for both marketing purposes and credit issuing purposes. In essence, credit repair is the process of managing your credit profile so that you get on the right marketing lists, and quality for the best rates on the right loans. 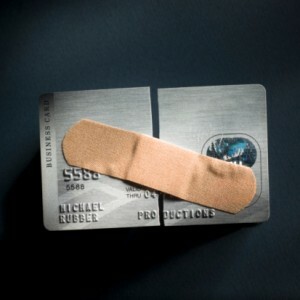 Credit repair is NOT simply removing all the negative marks from your credit report. While many so- called “credit repair” companies attempt this approach, it isn’t the best or most effective way to improve your credit. We get questions all the time that revolve around the same theme. This same theme is mentioned multiple times on forums, real-estate meetings and has been repeated in interviews with several credit repair experts. It applies regardless of the type of item you are dealing with, and whether you are dealing with the credit bureaus, the original creditor, or a collection company. It is actually more than a theme. It is, in all probability, the single most important key to success in credit restoration. What is this magical key, you ask? Sometimes they stop at this. Sometimes they want a refund, or they’re giving up, or they’re otherwise at a loss for what to do next. The problem for those who are ready to throw in the towel at this point in the process is that they are missing the key—the one “silver bullet” of credit repair that is absolutely imperative if they are going to achieve anything that even resembles success. Remember, when it comes to most companies you deal with (credit bureaus, creditors, collection agencies), it benefits them financially if they DON’T help you. None of them are going to jump at the chance to save you money. They are, in fact, usually going to do the exact opposite and virtually drag their feet while “kicking and screaming” along the way. It is for this reason that persistence is such a key. Here’s the difficult hard-to-swallow truth that nobody else wants to tell you: no one angle is going to work 100% of the time. It just doesn’t happen. If someone claims to have a method that works for 100% of people in 100% of situations 100% of the time, then they are 300% lying through their teeth. What does work, and works well, is to work through the credit repair process scenario carefully for your own personal situation, for each account, for each derogatory, and try one thing after another until something works. This doesn’t mean you just hit blindly using whatever methods you can find…what it does mean is that the most effective “method” is to use strategy, planning, and most importantly—persistence. If you quit early in the game, you are just doing what the bureaus, collection agencies, and creditors are banking on—you are giving in, and letting them win by default. It is because of the general lack of persistence on the part of consumers that it is so profitable for the credit bureaus to blow off disputes the way they do—because most people just give up after one or two attempts. Persistence is important. Endurance is vital. Sometimes the dispute process on a single item can drag on for months. Between letters, phone calls, planning, and trying different strategies, a lot of things can happen and a lot of time can pass before you see any results. If we were going to name this method, we might call it the “squeaky wheel” method, named of course after saying: “The squeaky wheel gets the grease”. In many cases, getting an item removed or getting compliance on some level is simply a matter of being big enough annoyance to where it’s no longer profitable for the bureau/collector/creditor to ignore you. There are several methods that work using this idea as their strength, and in many cases it ends up not being any particular approach that “won” the battle but rather the fact that the consumer didn’t give up. They weren’t afraid to be the “squeaky wheel”! The ONLY “silver bullet” in credit repair is a super educated consumer who refuses to give up by exhausting every possible option they have. Other than that, there are really no magic tricks. Sure, you need knowledge, you need to learn the methods, you need to have a good “bag of tricks” and sometimes even someone to help tell you how to use the bag of tricks…but in the end, persistence wins. So don’t give up. Hang in there. If one thing doesn’t work, try something else. If that doesn’t work, try yet another thing (the rule of thumb, stick with it for at least 12 months). If you have trouble doing this on your own, don’t have the time or resources visit (www.creditindy.com) to schedule a FREE consultation or give us a call at 317.837.4969 and we’ll help you achieve your goal of having excellent credit that you deserve.